Technology Away, and a Happy Thanksgiving! It is rare that a technology-driven company will advocate that you set your gadgets aside. But then again, DAS Solutions is not your average tech company. On this important holiday in the lives of all our American friends, that is exactly what we encourage you to do: leave your technology aside and have a wonderful Thanksgiving with your family and friends! Sharing the joy of family gatherings during such special occasions is important to us. They remind us that giving thanks to the people we care about is what defines us as human beings, especially during such difficult times of mistrust around the world. Technology is often a catalyst to that mistrust, as it can create a wall of communication with close ones instead of facilitating it. While we strive to become better and more successful in our own lives and within our companies, we must reward ourselves with some time to sit down with our families and friends and talk to each other. No matter how much ambition we have or how much effort we put into our work, it is important to remember that nothing is possible if you are in it alone, whether you are a technology-driven company or not. You need trustworthy people alongside you to share that vision, and to steer you in the right direction when necessary. We share ideas with our partners to help them reach their full potential, or in order to deliver that sought-after IT tool that will help them grow their companies. We find ways to solve the problems they find in their business processes that no one else was able to. We explore various technologies to minimize the effort that firms in any field make on a daily basis to reach a target. Finally, we deliver what we are certain are the best and most robust IT solutions that technology can offer. While we are located in another time zone, it is technology that helps us bridge that geographical gap to reach out to some outstanding individuals with the capacity to change us in a fundamental way. We are astounded by the depth and breadth of our partners’ visions and we learn something from them every day. We acknowledge them. We appreciate that technology can bring you to us and our services to you. But we want you to forget about technology for one long Thanksgiving weekend. We thank you for being with us. Customer relationship management software (CRM) is used by businesses in different industries. No matter in which area you work, a CRM solution will improve the way you communicate with customers. Surprisingly, only 1% of firms have implemented customer relationship management solutions. Some companies use out-of-the-box software that can be limited or hard to integrate with other systems you use, which is why a custom solution is often the best choice. Here are some of the benefits of acquiring a tailor-made customer relationship management software. A bespoke CRM system puts you in control, because it is created with your business processes and workflow in mind. It gives you a competitive advantage, especially in comparison with those companies that use off-the-shelf solutions. Automation tools in your CRM make your work effective. For example, you can use email notifications that will help you keep tasks on track. Also automation decreases the levels of human error. At the same time, automation tools must be manageable so that you can be agile. A custom CRM system will develop as your business expands. Additional tools, capabilities and reports can be added when you need them. You will not need to buy a completely new system when the old one no longer meets your needs. The system is flexible, you can install it on as many computers as you need, so that employees from different departments can be efficient at work. Custom-made CRM software helps you understand your clients’ needs and requirements.This will inevitably lead to increased customer satisfaction and additional profit. The customer relationship management system is secure and works on different devices which is handy in case of emergency or if some employees work from home. A good software development team will create a highly-usable customer relationship management software. You won’t need to waste weeks on training your team on how to use the system. Learn more about bespoke customer relationship management software, email us or give us a call. DAS Solutions will create a system that is right for you and will help you stay competitive. KPI dashboards assist an organization to define and measure progress toward organizational goals and objectives. Once your organization has analyzed its mission and defined its goals, it needs to manage, control and achieve its goals. It takes time and effort to monitor KPIs, which is why it is important that appropriate metrics are chosen to address the specific needs of the company. KPI dashboards help you analyze up-to-date data and save resources. The question is how do you get good KPI software? Hire a software development company to create it for you. 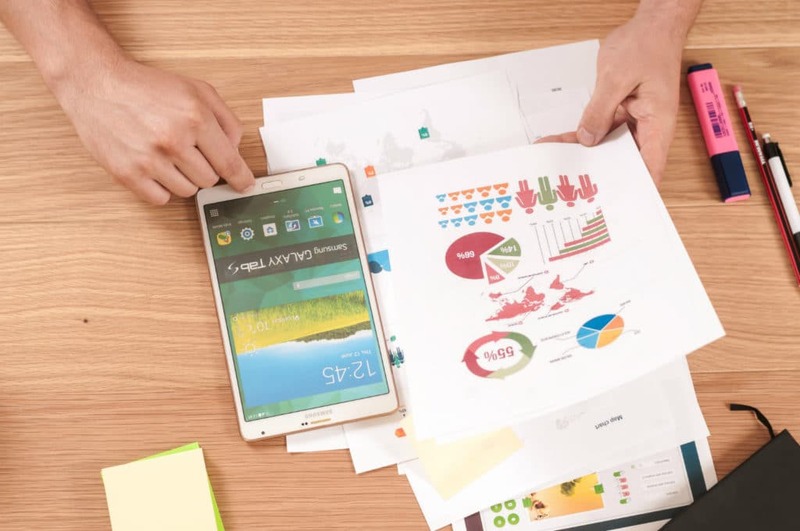 If you choose to create a KPI dashboard in-house, the process will be costly, considering that your IT team will need to come up with a development plan beforehand. In fact, they might not have the knowledge to do this at all, which would also lead to increased spending. In case you decide to buy an off-the-shelf solution, it may not have all the features and tools that you need. Custom features and maintenance involve additional costs, and those services can be extremely expensive. Additionally, you never know when the vendor is going to update the software, which makes you dependent. Generally a lot of time is wasted in the process of trying out the various existing solutions. If you choose to hire a trusted software development company, you will get a KPI dashboard that will have all the tools that you need and you will be provided with 24/7 support and maintenance. You can create reports faster and easier. KPI dashboards can help identify business opportunities or problems early on. They will show if you are meeting your business goals and if the strategy you have chosen is successful. Also, meeting KPI goals will motivate your employees. Contact us and discover how your company can benefit from using custom KPI dashboards developed by DAS Solutions. Many businesses can run smoothly on off-the-shelf software, at least until they grow, or experience some other changes. Companies that encounter roadblocks with off-the-shelf software packages should consider choosing the right software development company. Let’s take a look at four critical things a software development company can do for your firm. Create custom software that addresses your specific needs. If you are a user of custom software, you will see a dramatic increase in the efficiency of your internal operations. Custom software reduces costs, minimizes human error, and increases profit. Additionally, custom software addresses the need to securely share information with your customers, vendors, and associates. A good software development company (such as DAS Solutions!) creates a piece of software that is not aimed at mass market, therefore the solution performs strictly and flawlessly the tasks YOU need. When you have a long-term agreement with the software development company, your requirements will always be met, and you won’t worry that your product will become vulnerable. Offer excellent levels of feedback and communication. A professional software development company will focus on your business processes and operations. They will listen to you carefully, and will provide expert guidance and solutions to the problems and issues you are experiencing. The consultation and project estimate (in terms of cost and timeline) should always be free of charge. Provide support and maintenance services. A good software development company is dedicated to its product, that’s why its team will always do their best to provide you with the highest standard of support and service. Make sure you ask about the support and maintenance services that follow the successful completion of a new custom software! Help minimize future investments in software solutions. When you own your software, you can update it and add more functionalities as needed. Moreover, your employees go through a training process in order to use it well. On the other hand, when you buy an off-the-shelf software package and then realize it does not have the functionalities you need, you end-up wasting more money on yet another off-the shelf product. The indirect costs associated with this “software testing” exercise within your company are enormous (both in terms of time and money). A professional software development company can provide you with many things that will have a beneficial impact on the development of your business. By deciding to invest in custom software you invest in the future of your company. Send us a short message and get a quote for your project today!